Apple iPad 2 is coming soon in US on March 11 and other countries like UK, Australia etc. on March 25. But like the original iPad launch, India is not included in the list of countries where iPad 2 will be available through official channels after March 25, 2011. India is a big market for tablets but still Apple is avoiding the initial launch here, but still you can buy iPad 2 in India using other channels and sources. Apart from the well known channel i.e. friends or relatives living in United States, you can try few options here in India as well. After the original iPad launch in US, the iPad was very much visible in India and many folks were carrying the same from very early days of this revolutionary tablet. Online sources like eBay, 20North.com etc. will definitely showcase iPad 2 after US launch on March 11. Once the shipping will start in March, online merchants will start to showcase iPad 2 on eBay. As Apple has set the price of iPad 2 as equal to original iPad, so you can expect the eBay merchants selling iPad 2 16GB only Wi-Fi version at around Rs. 45,000. The price will definitely come down in next 2 – 3 months time. The Wi-Fi + 3G version of 64Gb iPad 2 will be available for ~Rs. 70,000 in early days of launch. I am eastimating the price based on the original iPad’s early days price by online sellers. After March 11 launch in US, try opening this page from eBay. You can expect the availability of iPad 2 on this page after 4 -5 days of US availability. If you are living in New Delhi, Mumbai, Banglore, Pune like metro cities, then you can directly contact the sellers and get the device. That way you can save the shipping charges and can also bargain better. Apple Stores (iStore by Reliance) is not having any information about the iPad 2 availability in Apple Stores in India. That means, at least for next 6 months, you will not get iPad 2 in India from official stores. Features like dual camera, FaceTime and PhotoBooth, A5 dual core processor, thinner and lighter design etc. will make Apple iPad 2 to sell like hotcake in India as well. Those who are panning to upgrade from original iPad to iPad 2 should wait for iPad 3 (probably in 2012). 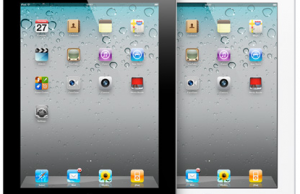 I will update this post after getting the sellers on eBay and 20North like online E-commerce site for Apple iPad 2. 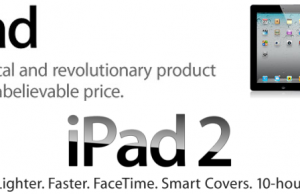 Update – Apple iPad 2 is now available on eBay India at Rs. 34,000 + Courier Charges (Rs. 999). That means, you can order a brand new iPad 2 (Wi-Fi only) on eBay for ~Rs 35,000 which will be delivered directly from United States.